Riverside is a city based in the Riverside County, California. It is located in the Inland Empire metropolitan area and is named because of the near Santa Ana River. The Riverside real estate marketplace is huge as the city has one of the fastest growing communities in the area. Aside from that, Riverside is the most populous city in the Inland Empire but also the Riverside County. Located 60 miles east of Los Angeles, it holds the 12th place on the most populous Californian cities list. On the other hand, the city of Riverside is also a part of the Greater Los Angeles area – with a population of 303,871 according to the 2010 United States Census. Riverside is a city in California that was founded in the early 1870s. It is also a home to the citrus industry and the Mission Inn – which is undoubtedly the largest Mission Revival Style building in the United States. AS the 59th largest city in the United States and the 12th in California, Riverside stretches on a 81.4 square miles area, most of it (around 99%) is land. Riverside is also a city lying on an altitude of 860 feet, limited by the Mount Rubidoux as one its glorious city landmarks and a getaway destination for the citizens and tourists during the weekends and holidays. Surrounded by both large and small mountains, the city of Riverside lies in a valley and has a specific climate. Because of the large and high mountains, Riverside has seen some small amounts of winter snow in the cold seasons, despite the hot air stream from the Southern California and the nearby Pacific Ocean at only 47 miles away. The climate in Riverside is known as semi-arid. This is characterized by hot and dry summers and mild and relatively wet winters. Temperature-wise, the summers generally average 90 degrees in Fahrenheit but can also exceed 100F with low humidity. The winters, on the other side, average high 60s but do not rise above 55 F in the rainy days. August is the hottest month and February is the wettest month during the seasons. 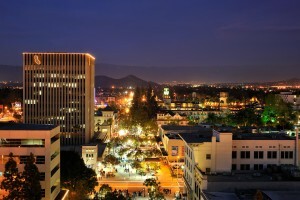 The economy in the city of Riverside is diversified in both manufacturing and non-manufacturing sectors. This makes the Riverside, CA real estate marketplace to boom and offer every citizen a listing tailored to their needs. From aircraft components, automotive parts, electronic equipment and food products, the manufacturing sector includes a lot of industries. The non-manufacturing factor, on the other side, also has numerous legal, accounting, brokerage, engineering, technology and banking institutions and firms accordingly. The County of Riverside, the Riverside Unified School District and the University of California, Riverside are the top 3 employees in the city. However, there are plenty of opportunities when it comes to employment and economy in general. Riverside is also known for culture and arts. The city is a home to many museums, including the California Citrus State Historic Park Museum, the Entomology Research Museum, the March Field Air Museum, the Mission Inn Museum, the Heritage House Museum and many, many others. Additionally, the city is known for The Riverside Dickens Festival held in February each year, the Riverside Airshow event, the official Riverside International Automotive Museum, the Riverside International Film Festival and many other significant and well-known events. The crime in Riverside, California has significantly dropped over the years, despite the rise of population in the city by an immense 18%. This opened the gates to success for the Riverside, CA real estate marketplace, which welcomes homebuyers from any location. There are a lot of institutions of higher learning in Riverside, California. The Baptist University, the Southern Law School, the Kaplan College, the La Sierra University, the Riverside City college and the University of California are only some of them. With a variety of secondary schools, public school districts and high schools, Riverside is a great pillar of education in California. The transportation options in Riverside, CA vary. Commuting in and out of the city can be done through rail lines, bus lines and the official Riverside Municipal Airport. The major landmarks in Riverside, CA include the historic Mission Inn, the Beaux-Arts style Riverside County Historic Courthouse (a reflection to the Petit Palais in Paris, France), the Riverside Fox Theater and many more. There are many real estate listings for sale in Riverside, CA as well. From comfortable apartments and condominiums to luxury mansions, the Riverside real estate market offers a lot of things to the homebuyers. With 28 designated neighborhoods that are within the city limits, the Downtown, Eastside, Casa Blanca and Canyon Crest are among the most popular ones to live in. There were 91,932 households in Riverside according to the 2010 census, 42.4% o them with children under the age of 18 living in them. The average household size in Riverside was 3.18 people with 65,615 families living in this city. There is a plethora of museums, parks and centers to explore in the city of Riverside, California. However, the March Field Air Museum is one of the most popular and number-one attraction. Followed by the Mission Inn Museum, the Mount Rubidoux Park, the Riverside National Cemetery, the Fox Performing Arts Center and more. Also, Riverside is a home to a lot of modern amenities and things to do. The activities include modern restaurants, shopping malls, coffee places, sports centers etc. Riverside is definitely one of California’s fastest growing communities and a big town full of landmarks, amenities, things to do etc. The Riverside real estate market is currently rising, with a lot of opportunities and listings for sale making every buyer interested. 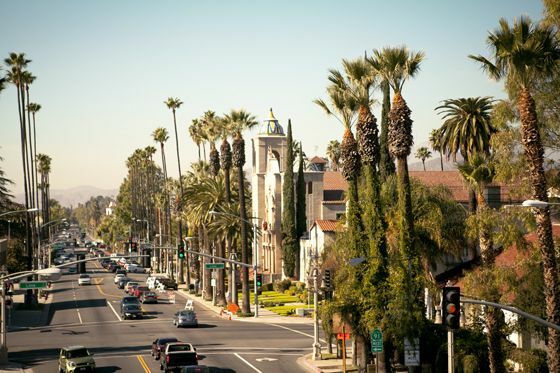 Undoubtedly, Riverside is one of the most desirable places to live in – and still feel the big-city ambient and atmosphere whilst away from Los Angeles.